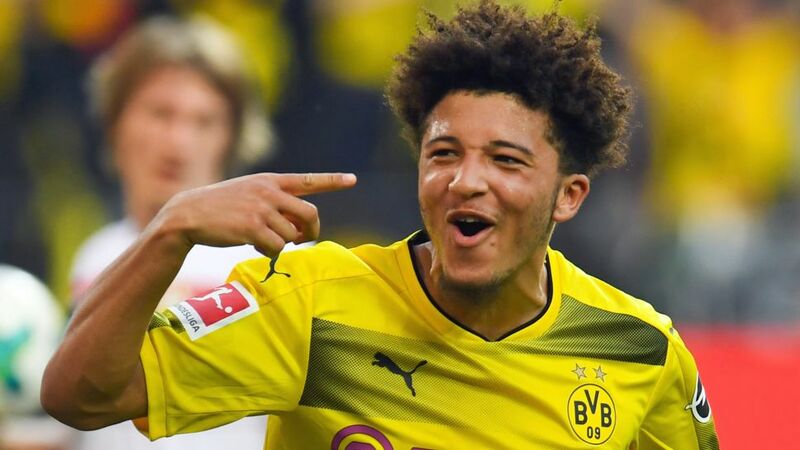 Bundesliga | Jadon Sancho: England boss Gareth Southgate's World Cup wild card? Jadon Sancho: England boss Gareth Southgate's World Cup wild card? If Borussia Dortmund's teen sensation Jadon Sancho wasn't already on the radar of England manager Gareth Southgate, he is now. The 18-year-old put in some mind-blowing shifts towards the end of the 2017/18 campaign, catapulting the Manchester City academy product into the frame for a place in the Three Lions' FIFA 2018 World Cup squad. A right-footed forward with a penchant for cutting in from the left-hand side in an effortless manner not too dissimilar to Bayern Munich veteran Franck Ribery, Sancho is exactly the kind of player England have been lacking since the heady days of John Barnes and Chris Waddle at World Cup Italia 90, where England lost on penalties to eventual winners West Germany in the last four. The Londoner can also play on either flank, and has more tricks up his sleeve than Houdini. "I nutmegged Dortmund captain Marcel Schmelzer in training, and he told me 'don't do that again'," Sancho revealed earlier this season. "I was always skilful as a youngster, but now I don't do skills as much because the game has got quicker and it's more serious. "I'm more mature now, I know when to release the ball. I'm not greedy, but I just want to show what I can do." Sancho's selfless streak was none more apparent than in Dortmund's demolition of top-four rivals Bayer Leverkusen on Matchday 31. After skipping past four white shirts early in the second half, he opted to play in Mario Götze rather than have a go himself. Although that particular chance didn't produce a goal, his next two forays into opposition territory did. "Technically Jadon is a fantastic player," enthused Reus, the gleeful recipient of one of two quite brilliant Sancho assists. "He came in and seized his chance. The way he controlled the ball for the third goal was pretty exceptional." There can be no arguing with that assessment. Sancho had already made history as the Bundesliga's youngest and Dortmund's first English scorer when he nonchalantly took a long punt from defender Manuel Akanji in his stride and crossed for Maximilian Philipp to extend BVB's lead. Then came the pin-point pass for Reus' second of the evening, delivered with equal finesse to cap a seminal performance befitting a man long hailed by former Bayern and England midfielder Owen Hargreaves as one of the most gifted players his country has ever produced. "I actually coached him on his first day in the Manchester City academy - I think it was with the U14s," Hargreaves recalled following Sancho's curveball decision to walk away from the English Premier League and start anew in the Bundesliga last summer, aged 17. "I remember him coming in, and I said to the manager at the time, 'what's his best position?' And they weren't 100 percent sure. And I said: 'He's scary, whatever he is'. "Big, tall frame, technically remarkable really. He is an exceptionally gifted young player. Potential to be right winger, left winger, as a number 10, he's got everything. He could be England's best player one day."